This mod contains the files required to batch build the armor and clothes from Remodeled Armor for SeveNBase Bombshell HDT TBBP using BodySlide to your own custom UNP body preset. ﻿1. 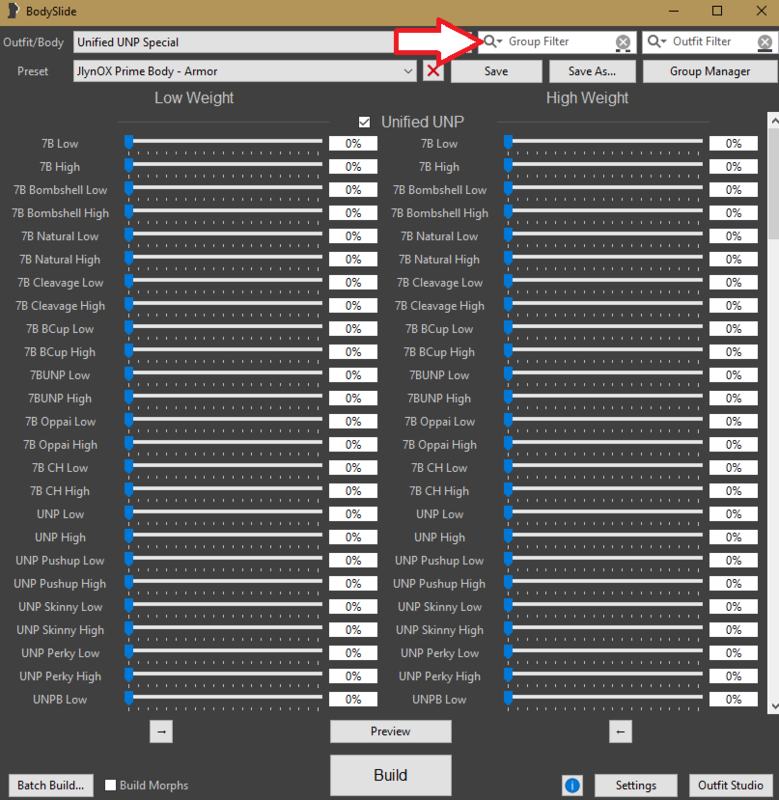 Install with mod manager or drop in data folder. ﻿2. Open Bodyslide and click on Group Filter, Choose Groups. ﻿ ﻿3. 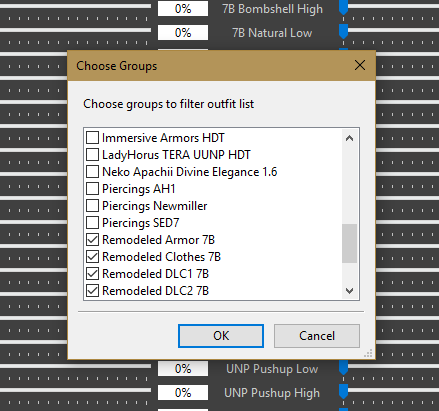 Select Remodeled Armor 7B, Remodeled Clothes 7B, Remodeled DLC1 7B, and Remodeled DLC2 7B then click OK.
﻿ ﻿4. 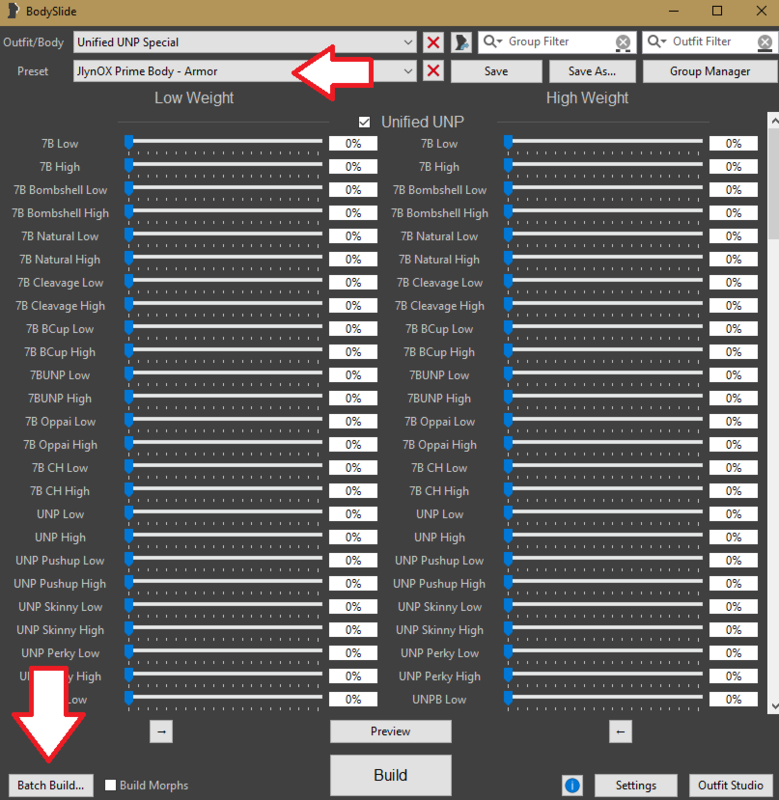 Make sure you have your body preset selected, and click Batch Build. And this outstanding guide that helped me throughout the process.